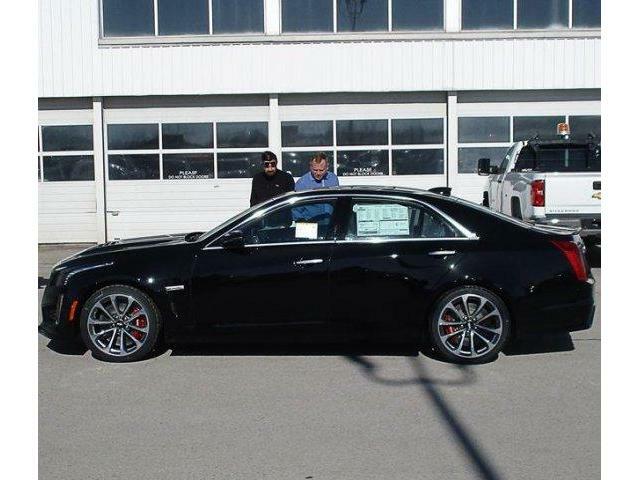 Engine: 6.2L Supercharged V8 DI VVT Aluminum Includes active fuel management. Front Bucket Seats Includes 20-way performance driver and front passenger seats.8-Way Power Driver & Fr Passenger Seat Adjusters Includes 4-way power lumbar and 4-way manual adjustable head restraints. Driver Seat Adjusters Includes manual cushion length adjustment and power side bolster adjustment. Front Passenger Seat Adjusters Includes manual cushion length adjustment and power side bolster adjustment. Heated Driver & Front Passenger Seats Ventilated Driver & Front Passenger Seats Includes seat cushion and seat back. Radio: Cadillac User Experience AM/FM Stereo Includes AM/FM stereo with connected navigation providing real-time traffic, 8" diagonal colour information display, 2 USB ports, personalized profiles for each driver’s settings, phone integration for Apple CarPlay and Android Auto capability for compatible phone, connected apps and Teen Driver.Bose Centrepoint Surround Sound 13-speaker system Includes active noise cancellation. SiriusXM Enjoy a 3-month XM Select+ trial subscription with over 120 channels including commercial-free music, plus sports, news and entertainment. Free listening on the app and online is included, so you'll hear the best SiriusXM has to offer, anywhere life takes you. Welcome to the world of SiriusXM. If you decide to continue service after your trial, the subscription plan you choose will automatically renew thereafter and you will be charged according to your chosen payment method at then-current rates. Fees and taxes apply. To cancel you must call us at 1-888-539-7474. SiriusXM Canada products, programming, services are subject to change. The use of the SiriusXM Canada radio service constitutes acceptance of our customer agreement available at siriusxm.ca/terms. Uplevel Bluetooth For Phone/Audio Includes enhanced voice recognition. Tires: P265/35R19 Fr & P295/30ZR19 Rr Summer-Only Do not use summer-only tires in winter conditions, as it would adversely affect vehicle safety performance and durability. 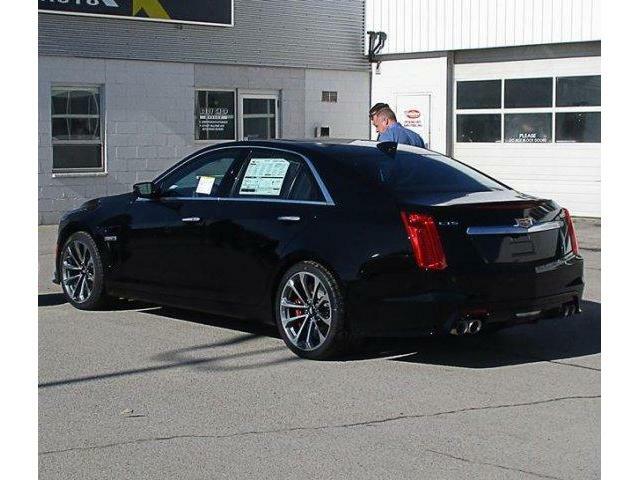 Use only GM-approved tire and wheel combinations. Unapproved combinations may change the vehicle's performance characteristics. Lower profile tires wear faster. Wheel and tire damage may occur on rough or damaged roads or from surfaces or from curbs, debris or obstacles. This damage is not covered by the GM new vehicle limited warranty. For more details, see your dealer. Wheels: 19" x 9.5" Fr & 19" x 10" Rr Prem Painted (45.7 cm x 24.1 cm) front and (45.7 cm x 25.4 cm) rear alloy. * Every reasonable effort is made to ensure the accuracy of the information listed above. 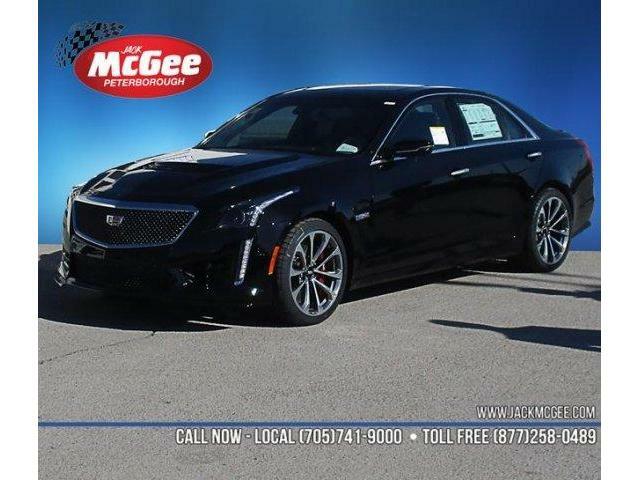 Vehicle pricing, incentives, options (including standard equipment), and technical specifications listed is for the 2019 Cadillac CTS-V may not match the exact vehicle displayed. Please confirm with a sales representative the accuracy of this information.